BioTek Marine announces the addition of two new reactors to its Tek and Bio series product lines. The new Media Reactors and Pellet Driver Reactors are available in 3 different sizes. All are CNC machined and laser cut for precision. The keyhole engineered locking flange lid is long lasting and designed for zero wear and tear. The o-rings are thicker than those normally found on most other reactors allowing them to easily seal without the risk of overtightening. Each thumbscrew is easy to turn so that the lid can be removed in a matter of seconds. One unique feature of these new reactors is the laser cut acrylic media screens which are precision cut to allow water to pass through while keeping the media within the reactor. The design requires very minimal cleaning. 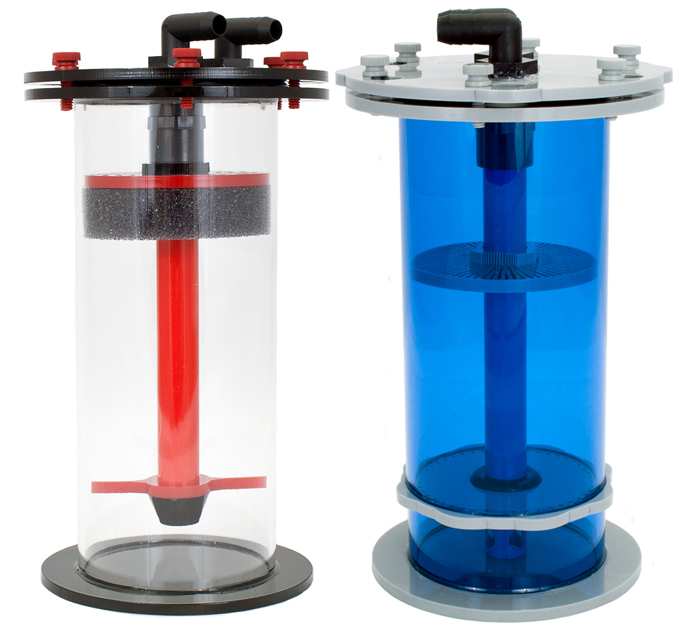 The Bio Series reactors are black and red with clear acrylic tubing while the Tek Series reactors are blue and grey with blue tinted cast acrylic tubing. The media reactors were specifically designed for fluidizing PO4x4 phosphate-removing media, however they may also be used for other media such as GFO, carbon and other types of absorption medias. Anyone familiar with PO4x4 knows that the beads are very small. BioTek reactors feature the thickest foam of any reactor line, consistently allowing the water to pass through while containing the media from passing into your sump. Water enters the top of each Media Reactor and passes through the center pipe to the bottom of the reactor where it exits via a 90 degree hose barb fitting on the top of the reactor. The larger reactors (6″ x 16″ & 4″ x 22″) require 3/4″ tubing while the smaller models require 1/2″ tubing. The Pellet Driver reactors were designed for use with standard NP reducing biopellets as well as the newer All-In-One Biopellets. As aquarium water passes through the center tube and down to the bottom of the reactor it flows beneath a unique pressure plate. The pressure plate holds the biopellets in the reaction chamber while special, laser-cut holes along the other edge of the plate allow the water to escape into the reaction chamber. This pressure plate design fluidizes the media without pulverizing it. 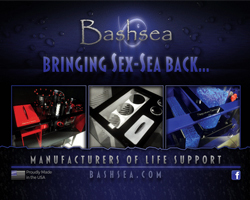 For the BioTek Marine website or inquiries about custom sizes for 1000+ gallon systems contact BioTek Marine. I am using the Bio Series media reactor for carbon. The build is ok, but should have gone with the Tek Series for better material quality. It is pretty rough on regular carbon media, but it was designed for PO4X4 which probably handles the reactor better. So all in all it’s kind of average for me.